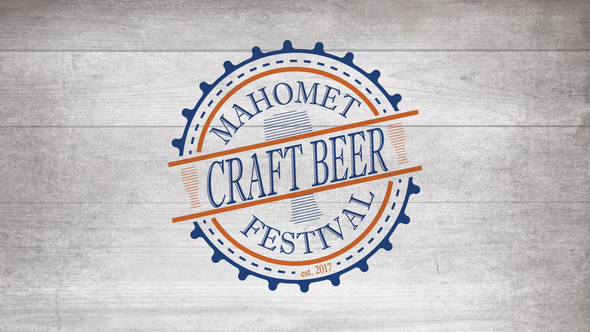 Mahomet Craft Beer Festival presented by JT Walker’s Restaurant and Brewery will take place from 2pm-6pm on Saturday, April 20th on Main Street in Downtown Mahomet. This event will feature over 25 craft beer and cideries vendors along with wine from Alto Vineyards Champaign! We will also have craft root beer and soda from Homer Soda Company. Vendors include Chester’s BBQ Truck and Jenkins Catering. A Central Illinois BBQ cookoff will take place at 4:30pm. >> Email brewery@jtwalkers.com for more details. We are also working on free pickup and drop off services in Champaign and Urbana sponsored by Feldkamp’s 24Hr towing and Larry’s Limousine Service! Call Walter at 217-840-2700 for more information.